Ruby Jean, born late one Saturday morning in February. Weighing 9 lbs 8 oz., she had the most luscious chubby cheeks from right out of the womb. She was born at her Grand Rapids home, and her birth made one of the best memories her mama and daddy have ever experienced. 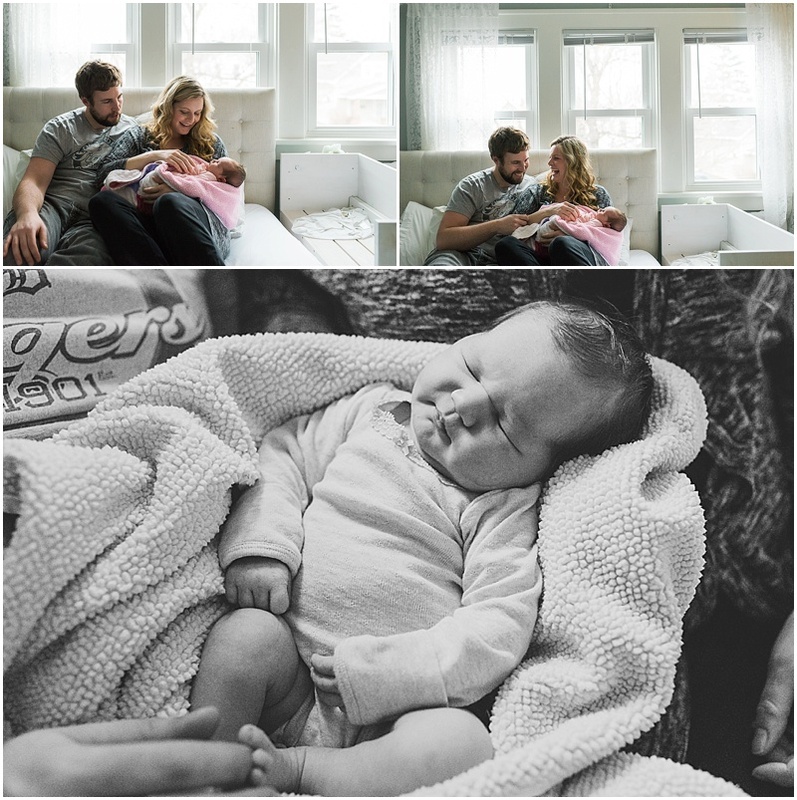 The day after she was born, I popped over and made these pictures of sweet Ruby with her adoring family. Fresh48 sessions exist for these surreal, magical moments of discovering and falling in love with a fresh new baby. 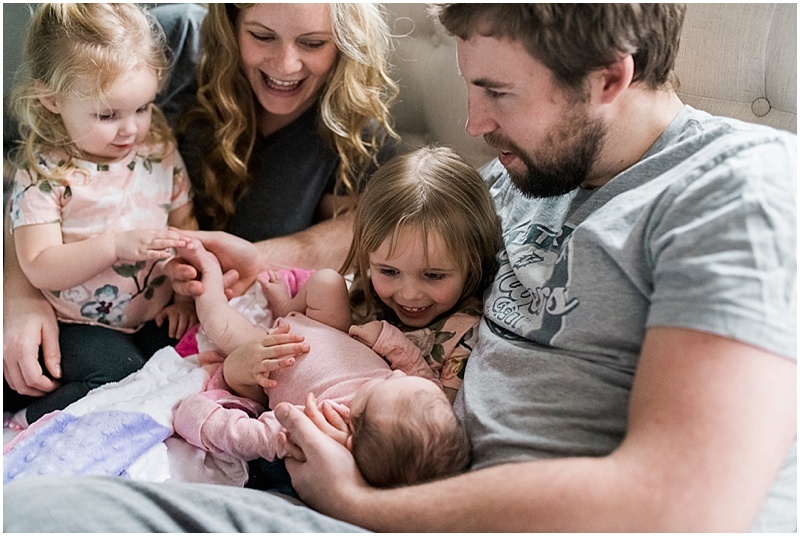 After you've caught your breath just a little from the work of birth, you get to snuggle in with your people and have some pictures like these done. One hour, no posing, just resting in your delight.